I was going through my feed the other day during class the other day and I happened to come across this tag. I saw this tag over at Birdie Bookworm and I loved reading her answers! Make sure you go and check her out because she is amazing. I thought this would be a great tag to do, so why not do it! Which book has been on your shelves the longest? I am currently reading Cassandra Clare’s Tales From the Shadowhunter Academy and I am in love with it. I still have close to 400 pages though. I just finished reading The Assassin’s Blade by: Sarah J. Maas and I loved it! I think I am going to pick up Nicola Yoon’s The Sun Is Also A Star but it might change. I always change my mind when I say I’m reading a book next. Yet again, here I am talking about this book. 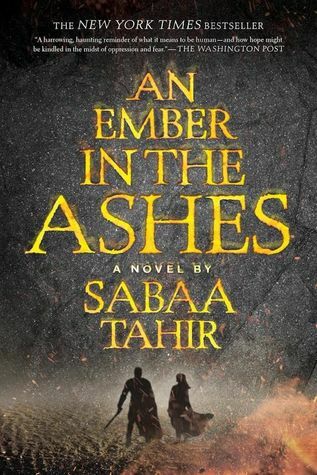 I hated An Ember in the Ashes by: Sabaa Tahir. I hated it. I really need to find a new book that I hate. I talk about this book way too much to hate it. 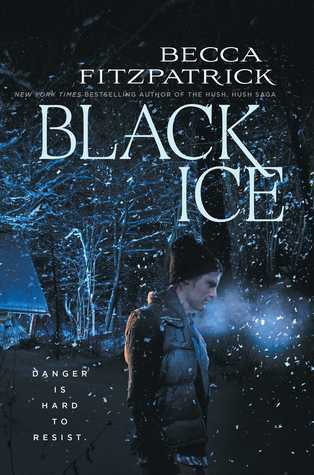 Black Ice by: Becca Fitzpatrick. I got this book back in 2014 for Christmas and here we are, almost 2016 Christmas and I haven’t read it. I keep telling myself that I am going to pick it up and read it but it keeps getting pushed aside. Soon though, maybe. Which book are you saving for retirement? I have no idea. There are so many books that I would love to read right now but I know that they won’t get read until later in my life. More than likely I would pick a book and then go and read it next week because that has happened before. More than likely the book would have to be a classic by either Charles Dickens or Jane Austen because their work seems to fit that time in life. Yes. The answer is yes. I actually turn to the last page first… not to read it but to see how many pages there are in the book. Then every so often, I will skip a few pages til the next chapter or break occurs so I can stop there and not in the middle of a chapter because I hate doing that! Is that just me? But while I was reading Empire of Storms, I accidentally flipped to the wrong page and I might have read some stuff that just ripped me in half. If you have read the book, check out page 670. Yes, I memorized the page number. Totally normal. Acknowledgements: waste of paper and ink or interesting aside? Sookie Stackhouse from the The Sookie Stackhouse Series by: Charlaine Harris. Sookie has the ability to read minds and she has this power. Vampires are attracted to her because of her smell and then she has people, or creatures, like Alcide, Sam, Bill, Eric, etc. Oh Eric… I can only dream. Do you have a book that reminds you of something specific in your life (a person, a place, a time)? Enough with my terrible stories of life, let’s move onto the next question! I own The Twilight Saga: The Official Illustrator Guide by: Stephanie Meyer, even though I didn’t buy it, or my family. For some reason, the school wanted to give me something for helping the assistant principal find something out about these two boys, which one of them is one of my closest guy friends, along with something for reading 100 books that year. I go into her office and she pulls out this huge box and tells me to pick something out of it. As I am looking, all I see is a bunch of toys and candy. Stuff I didn’t want. I start going deeper in the box and I saw this book. At this moment of time, I was obsessed with Twilight. It was the first time I read them and watched the movies. I wanted all things Twilight. When I saw this book, I grabbed it, thanked the assistant principal and went back to my science class. Don’t ask me why I remember it was a science class. It happened like 5 year ago. Have you ever given away a book for a special reason to a special person? Yes and no. My mom is a librarian at a middle school and one of her students wanted to read Library of Souls by: Ransom Riggs. My mom talked about how fast of a reader he was and all of this stuff so I expected it to be back on my shelf. That weekend, I ask my mom where my copy of the book was (because I was NOT forgetting that book) and my sister tells me that my mom decided to do her own ‘pass Ann’s book around school to a bunch of kids she doesn’t know’ club. Needless to say, my mom bought me a new copy of the book and she STILL hasn’t gotten the book back yet. Which book has been with you to the most places? 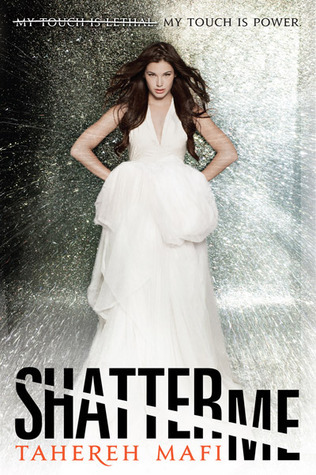 Probably my copy of Shatter Me by: Tahereh Mafi. I read this book while I was going to a Charlotte Hornet’s basketball game in 8th grade and we made a stop at a mall 2 hours away in Greenville or something. Don’t ask me why. As soon as I finished it, I let my friend borrow the book during Spring Break and I’m pretty sure she went to like Mexico or something. I got that book back and then at the end of the school year last year, I let my other friend borrow this book and she had it over a weekend. Yah, this book has it’s very own passport. Both of these friends are pretty avid readers (at least one of them because I eat lunch with her and the other one goes to another school) so I knew they were in good hands. I actually really liked John Steinbeck’s Of Mice and Men. The story, the passion, the emotion, everything about it was amazing. After reading it, I actually saw something somewhere and it was a list of things that all Freshman need to know before their first day and the following was on the list. If you haven’t read this book and want to (which you should, skip down to the next question. The thing on the list actually had: Lenny dies. That’s all it said. Since my sister is a grade below me, I started to go around the house and say Lenny Dies. Everyone in my house is still really confused and it has been a year. What is the strangest item you’ve found in a book? I once picked out a book from the library and it homework in it. The sad thing is, I knew the kid that checked the book out before me. I still see this kid every day. I sit right next to her at lunch. New. I love the smell of brand new books, the feeling, and the whole process of saying it is my book. I used to take weekly trips to the library to keep up with my reading but something changed and I haven’t went back to the library since like April or something. I also have had really bad experiences with checking books out like this one time, I checked out Breaking Dawn and you know the size of it. Someone who smoked a bunch checked the book out before me and every page smelt like cigarettes. No matter what we tried, we couldn’t get the smell out and it actually started to make my room smell. No joke. Nope. The only book of his I have heard of is The Da Vinci Code and I might read it. I don’t know if I will or not though. There is actually two of them: The Duff and The Book Thief. I wasn’t even able to make it through 15 minutes of The Book Thief movie without getting bored in it. I knew what was happening, even though I only read like the first part of the book or something. I thought that the movie was actually more understandable and upbeat than the movie. I was able to watch the full movie of The Duff and I felt like it was better planned out and aimed towards young adults than the book did. I also really liked the cast. I really did. I believe that all books are published for a reason. It might not be for me, but someone else might really enjoy it. I might hate a book but that is my opinion. 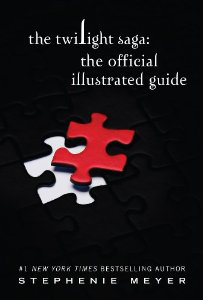 The author still gets to see people pick up his or her book and hear what they think of it. Positive and Negative Feedback is a good thing for an author. Have you ever read a book that’s made you hungry, cookbooks being excluded from this question? 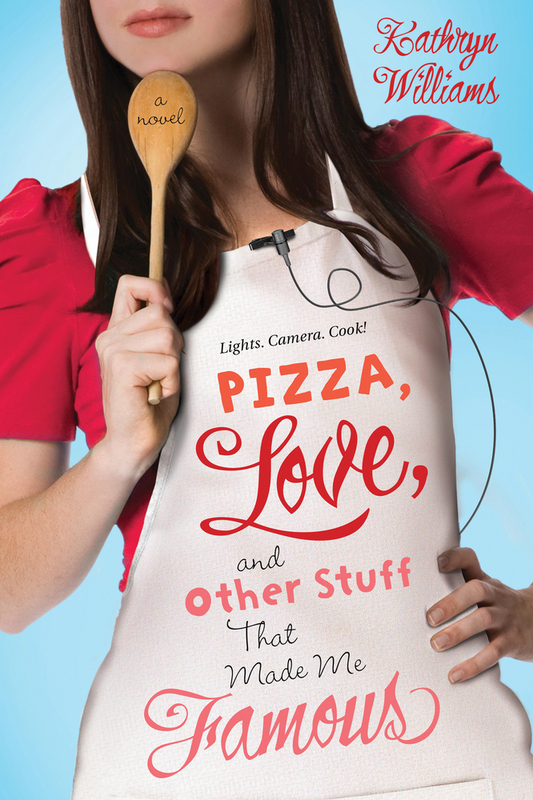 Pizza, Love, and Other Stuff that Made Me Famous by: Kathryn Williams. Just read the title of it, it talks about pizza. The whole book is centered around food. What could be better? My book club leader Ms. Beck. I swear she has read books that I haven’t heard of before. She starts talking about how she didn’t like the ending of this book and then switch to another conversation about another book in the same second. She actually told me to read Quarantine by: Lex Thomas and Panic by: Lauren Oliver and I loved them both. *If you have already done this tag, I’m sorry! Sometimes I can’t keep up with your post! And if you want to do this tag and you’re not tagged, considered yourself tagged. What are some of your answers to this tag? What is your favorite book at the moment? TV Show? Song? Let me know your thoughts in the comments! I think we all identify with Taylor Swift songs in some way! I love that answer! Thank you for doing my tag you have amazing answers. I’m glad that you did!